We homeschool in a time when extra-curricular activities abound. From co-ops to classes, to workshops at the local children’s theater, we have so many activities to choose from. But we all know that activities are not always equal. Some are fun activities meant for social purposes while others are valuable for educational purposes. Some activities might meet the needs of both those purposes. Balancing extra-curricular activities can be difficult. On the one hand, you want to give your children a variety of opportunities. On the other hand, you also need to spend time actually studying lessons. Knowing which extra-curricular activities fit your ultimate goal could be the key to choosing what you do or don’t do. 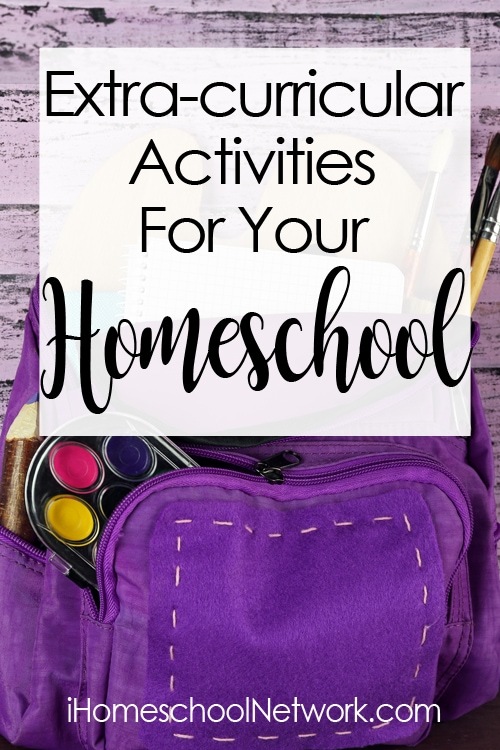 In this iHN Link-up, our bloggers are sharing their best advice for managing, finding, and choosing extra-curricular activities for your homeschool. Tell us, what’s the BEST extra-curricular activity your family has participated in?